Size of this preview: 661 × 600 pixels. Other resolutions: 265 × 240 pixels | 529 × 480 pixels | 800 × 726 pixels. 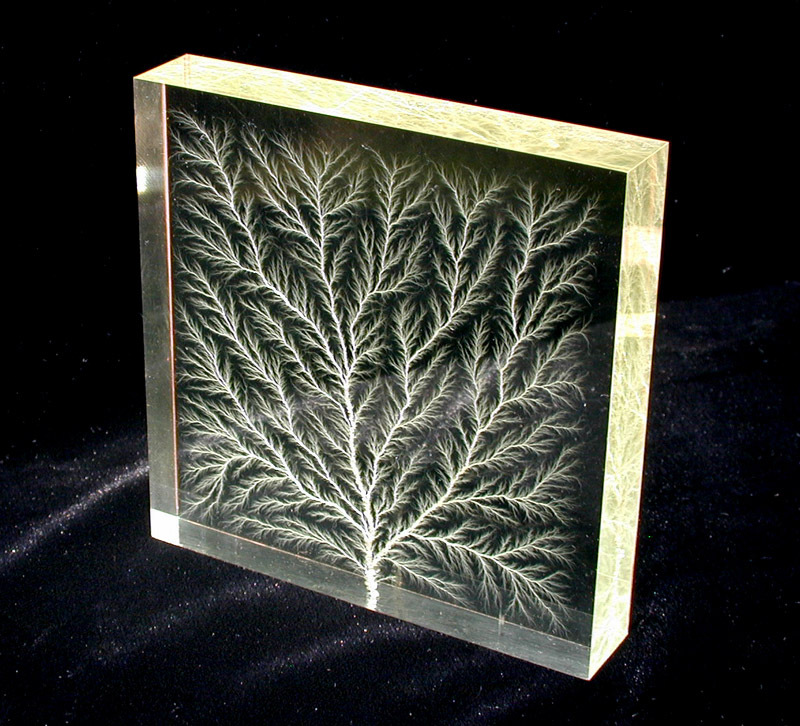 English: High-voltage dielectric breakdown within a block of plexiglas creates a beautiful fractal pattern called a Lichtenberg figure. The branching discharges ultimately become hairlike, but are thought to extend down to the molecular level.